A thoughtful gift for a son that speaks your heart. Your little boy, now a man! 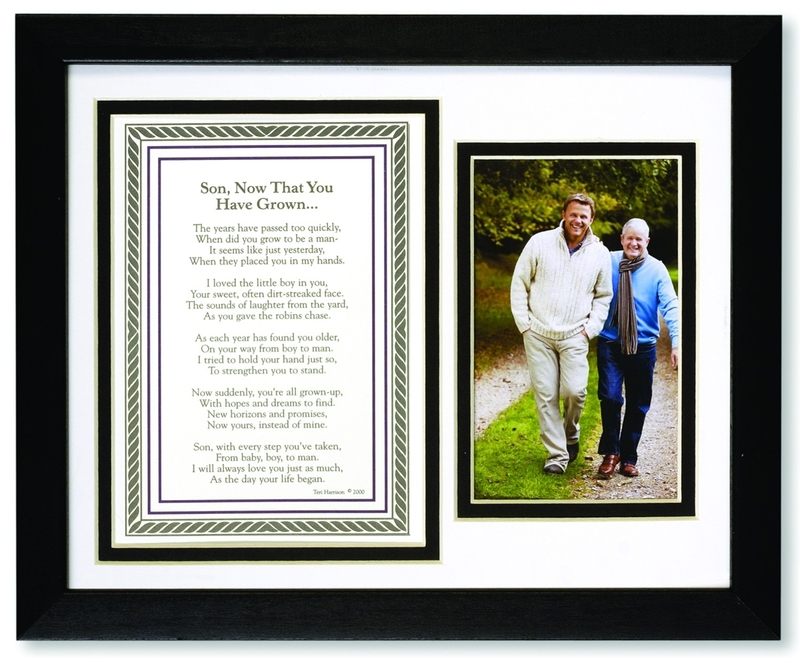 8x10 black frame includes a place for photo and Son, Now That You Have Grown sentiment. Add a 4x6 or 3.5x5 photograph for a frame he will treasure. 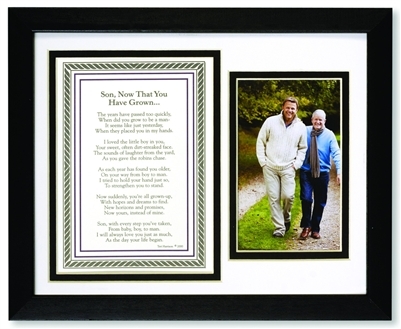 A great picture frame for a son on his graduation day or wedding day. Remind him what a joy it has been for you to see him grow and how proud you are of the man he has become.